Michael Myers will make his big screen return in just a matter of weeks with the new Halloween movie hitting theaters on October 19. Using a script co-written with Danny McBride and Jeff Fradley, David Gordon Green directs the modern day follow-up to John Carpenter’s seminal 1978 slasher film. If the early estimates are accurate, the film will set the franchise record for having the highest-grossing opening weekend at over $40 million. It’s needless to say that horror fans are going to be turning out in droves to see this one. In the months leading up to this release, however, there’s been a lot of confusion with the casual filmgoers. This film creates yet another new Halloween timeline in the series by effectively ignoring every single sequel in the series. Only acknowledging the events of Carpenter’s original, Green’s film serves as a new Halloween II of sorts, taking place 40 years after the 1978 film. Among other things, what this means is that Laurie Strode and Michael Myers are no longer siblings, as was established in the original H2, and that Laurie never died as shown in Halloween: Resurrection. Aware of the confusion, Green was left unsure of what to title the new film. Although it’s technically a sequel to Carpenter’s first film, calling it Halloween II would only confuse fans further. Alternative ideas were then considered for the film, which even included the possibility of abandoning the Halloween name altogether. As revealed recently by Green, however, the director decided that the best approach to take with the new film’s title was to just keep it simple. Whatever the film was going to be called, horror fans were going to come and see it. The new film essentially sees Laurie Strode transition into the new Dr. Loomis, becoming Haddonfield’s best shot at stopping Michael Myers. For the past forty years since the events of the original film, Laurie has been training for Michael’s return, praying for him to escape so she can finally have the chance to kill him. Will that be what happens when the new film hits theaters? David Gordon Green’s Halloween will officially premiere on Oct. 19, 2018. 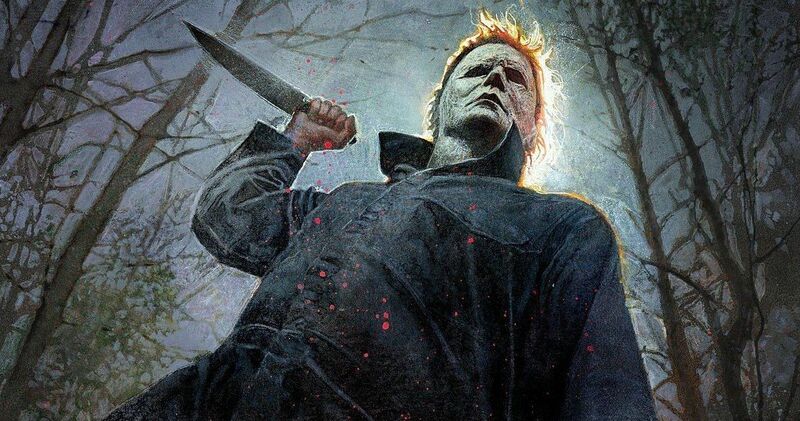 In addition to Jamie Lee Curtis, the cast will include Judy Greer, Andi Matichak, Will Patton, and stuntman James Jude Courtney as Michael Myers. John Carpenter himself has also returned to work on the score as well as being an executive producer. This information comes to us from https://ew.com/movies/2018/09/30/halloween-title/|Entertainment Weekly.